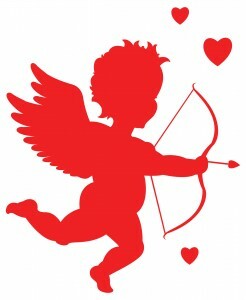 Cards with romantic messages, chocolates, varieties of flowers (red roses being dominant among them), winged cupids and heart shaped drawings everywhere. Everything seems to be beautiful for one day, and everyone seems to be feeling ecstatic. Everyone has a blissful smile on their face, and a special someone by their side. All these are very common scenes on this day on the streets of Dhaka, it is none other than the day devoted to love – it is the Valentine’s Day! Conventionally, it is the day to express your love through gifts, exchange cards with romantic messages to communicate feelings to your loved one, and to go out together to solely celebrate just each-other. The day is named after Saint Valentine, who is known as the third-century Roman saint Thus the tradition of chivalrous love began. Not much is unswervingly recognized of St. Valentine except his name and the information that he breathed his last breath on February 14 in the north of Rome. Celebrated annually worldwide on February 14th originating from Modern England, it is celebrated in Bangladesh with lots of anticipation as well. Especially in urban society V-day is widely celebrated (among the youth particularly). Though the day is celebrated rejoicing all relationships – the mostly celebrated relationships on this day are the romantic ones. There are couples enjoying each other’s company with both men and women dressed in red, with flowers in their hands or just spending time together. The traffic on the road is heavy, parks, food areas and cafes are all jam-packed with women wearing red. Love seems to be in the air on this day. The first day of spring as we say in Bengali “Pohela Boshonto” is celebrated usually just the day before V-day. It is truly the most pleasurable and youthful time of the year, with so many bright colors engulfing the roads of Dhaka. Being an Islamic nation, there is a lot of debate surrounding V-day. It solely depends on how one perceives it. It varies from person to person. It was introduced in the 1990’s and is still flourishing as a celebration with each passing year. With different packages and promotional offers at the gift stores, food shops, dining places, various shops, card publishers etc, it is a day of celebrating the relationship. It could be the relationship with our better half, parents, children, friends, or someone from our everyday lives. Now the question comes, is love just like a commodity which should be celebrated only one day of the year? Isn’t the term love becoming commercialized like everything else around us? Isn’t the expression of love on Valentine’s Day developing the norm that love should be bound within a certain perimeter? Is the commercialization of this day developing unrealistic expectations for those who consciously choose not to celebrate this day? Should Valentine’s Day only focus be on celebrating the romantic surface of human relationships, as it is done mostly? I think it is strange how love has become scarce, whereas the commemoration of love has become too ordinary. Love is kept like a detainee inside a sphere. I sense it is all a kind of hype in order to show off love in the world of social networking, where every emotional expression is not genuine unless validated by the online community. * Naureen is a school teacher, a member of the Editorial board of Alochonaa.com. She writes from Dhaka. Valentines day is a day when love is celebrated. It’s not the only day that one is bound to express their love, everyday is open to that, and one day is chosen when love, the expression and celebration of which is made easy through heavy commercialization. Is that so bad? A very and matured piece of writing which gives us ; food for thought. These Valentine’s day is not observed only in the urban area but even among the rural areas of Bangladesh .An uneducated village woman working as my domestic help told me they observe “vhalobasha dibash”-which means in Bangla “day for love” .Naureen has correctly pointed love should not be confined on a particular day between two persons or lovers,rather it should be with all. I am mentioning this in the context of our society. Can’t we promote a bit of humane fellow- feeling ..? Thank you very much for the beautiful write up. Love is universal, everlasting unique human quality. Man being the best creation of Allah(stw) should love all His creation basing on their category of relationship. Our present generation should be be more sensble about it. I think your write up is timely. Thank you again. May allah bless you.